Priceless moment in your life that stays in your memory – this is what we work for everyday at Prime Scuba Ishigaki. Located over 2,000km southwest from Tokyo at the edge of Japanese archipelago, Ishigaki has the world class diving points including the famous manta points, and has been ranked as number one diving destination in Japan for nearly 20 years. 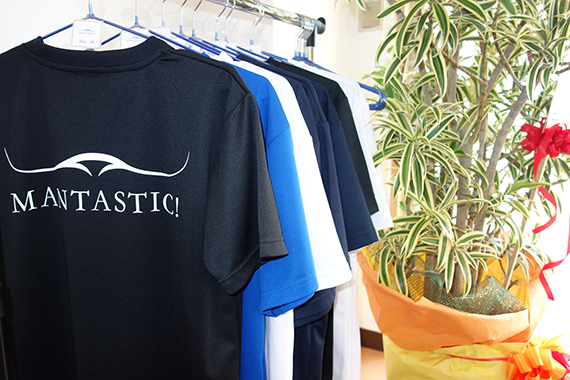 In this island of paradise, we created a place where you can enjoy unparalleled Japanese quality diving service. With your family, friends, or even just by yourself, come join our dive cruise, and explore the beauty and excitement that Ishigaki underwater world can offer. 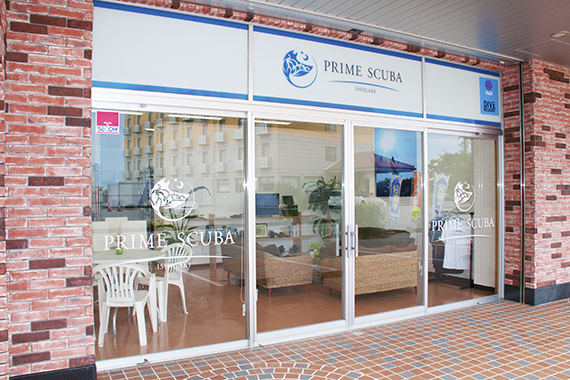 Make a memory of the lifetime with Prime Scuba Ishigaki! Our shop is located approximately 10 minutes from city center area, and across the stree from ANA Intercontinental Ishigaki Resort. 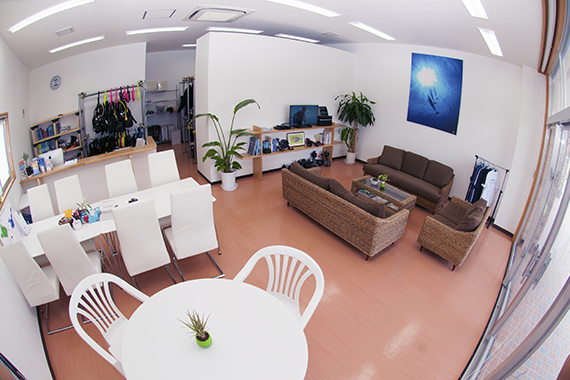 You do not need to come to the shop as our services include transportation if you will be staying in the city area, and you can also check out on the boat after your dives. You are more than welcome to come to our shop after the dives, and log your dives with our instructors with some cold or hot beverage. If you would like to visit, please let us know in advance, as our staffs are usually on the boat or out of office.